If you've got a real micro:bit, you can download the code you write and upload and run it on your micro:bit. 1. Plug your micro:bit in to your computer, it will show up as a USB thumb drive. 2. Go to a problem and click the button below the main editor on the right to download your code as a .hex file. 3. 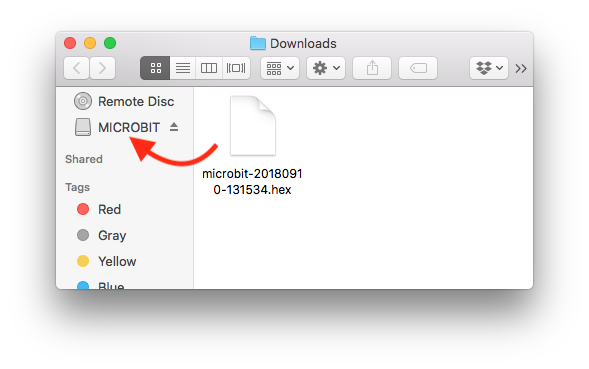 Drag the downloaded .hex file onto the micro:bit – it'll reboot and run the code!